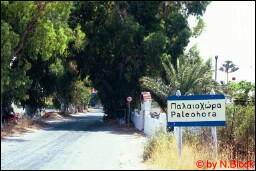 In August 1978 I made my way to Paleochora for the first time. Equipped with backpack and guitar, a bottle of wine and some cheese, the journey started at 23:00 h from Essen (where I lived then). First step was Munich. There I had to change the train to get to Bologna. The next morning I woke up in Bologna, welcomed by a huge poster saying "Bongiorno Latte". If you understand a bit German you know how to get this wrong, especially in the morning. 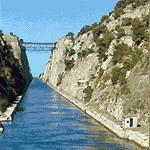 Next was climbing the train to Brindisi and move south for about 12 hours. The train was packed with longhaired people (as a reminder: At that time mostly both genders were wearing long hair), so the wine was history after a very short period of time. Half a lifetime later the train finally arrived in Brindisi. I got down to the harbour, bought some new wine and a really solid donkey-salami (I like them), a boat-ticket to Patras and got on the ferry boat. At 19:00 hours the boat left for Patras, my first time on the Mediterranean. I hurried up to the bridge, asked the Captain if this was OK, "si" he told me. So I was standing on top of the ship, left of the bridge, my hair flowing in the wind. Silence, wideness and the wind was so warm. An unforgettable impression. Later the Captain came out. We had a conversation, using parts of about 6 languages. Of course this guy killed one half of my wine, I put an end to the other one. Despite the fact that I'm older now and maybe more realistic, I still have the feeling that the way people met each other was different at those times. Later, maybe 4 or 5 hours before we reached Patras, I got a hell of a thirst. But meanwhile everything was closed on that ship. Thank heavens, I had some Coal-pills with me. So I swallowed a handful of them with water coming out of a pipe marked by a sign saying: "No Drinking Water". The thirst was away, as you can see I'm still alive, and I had a great night sleeping on deck. 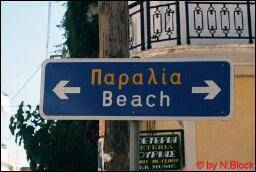 On the next morning at 7:00 h we arrived in Patras. I looked for the bus to Athens, got in and moved on. I had my first small Souvlakia at the bridge over the Korinth-Canal. They were delicious. In Athens I took the old subway (I would have been faster on my own feet) down to the port of Pireus. This was a turningpoint (Since then I use the word: "Greek System" when something strange is going on). I moved around the corner from the subway to the harbour at exactly 19:00 h. Time for the ferry-boats to leave for Crete. The next thing I saw was a huge ferry boat, beginning to pull up the rear ramp. Alert. I hurried into the next Ticket-Office, "Is this Boat leaving for Chania?". Answer: "Yes,yes". I paid for the ticket, rushed over to the ship and got on board while the sailors were going "ella,ella" and waving their arms. OK I made it. I found a good place to sleep on deck and moved to the Kantina to have some Spaghetti (they were the cheapest meal you could get). On the next morning I was looking at a beautiful harbour with Venetian fortifications (if I hadn't been here for the first time I would have noticed something at this point). I got off the ship, and asked some longhaired people how to get to Paleochora. They started scratching their heads, "This is kind of far". "Why far, I think from here it's only 70 km to cross the moutains" I answered. 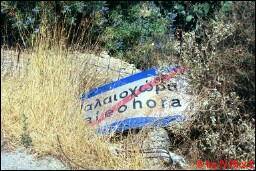 "Yes" they told me "but first you have to go to Chania, that's another 150 km." 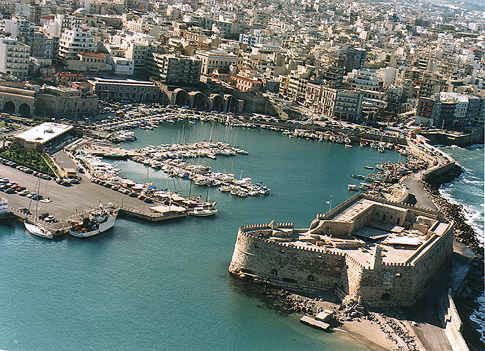 That was it, I was in Heraklion. Greek System. Those guys at the ticket-office must have thought, "this freak is leaving anyway, let's get his money before." The longhaired then showed me the place from which the bus to Chania normally departed. I was too late, but the driver had some drinks with a friend and started later so I was lucky and caught the bus. The friendly side of "Greek-System". We reached Chania around noon. I got to the "bus station" which was much smaller then. Actually it wasn't even visible.